Did I leave my spiral notebook on the card table? Just put it aside until I coome home - there is nothing I need for a while in it. Would you look in the Penfield book to see if there is an Issac Penfield (b ? 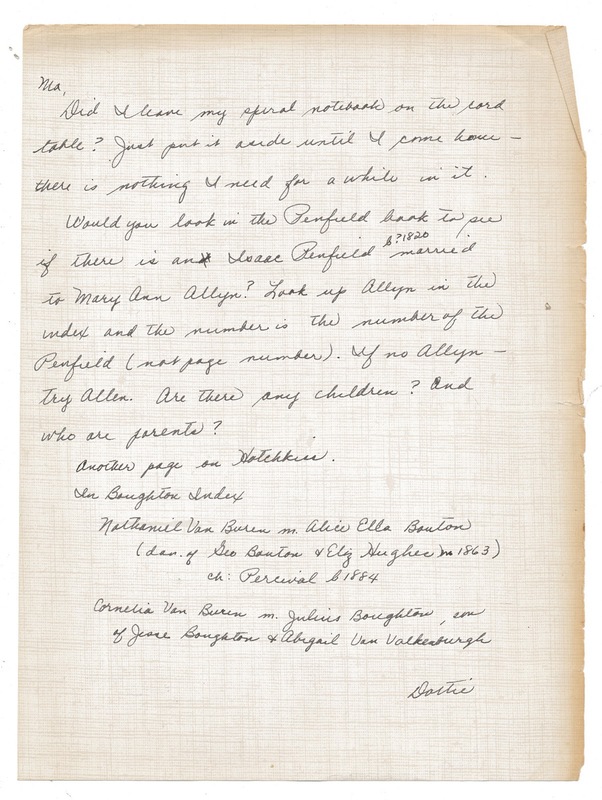 1820) married to Mary Ann Allyn? Look up Allyn in the index and the number is the number of the Penfield (not page number). If no Allyn - try Allen. Are there any children? And who are parents? 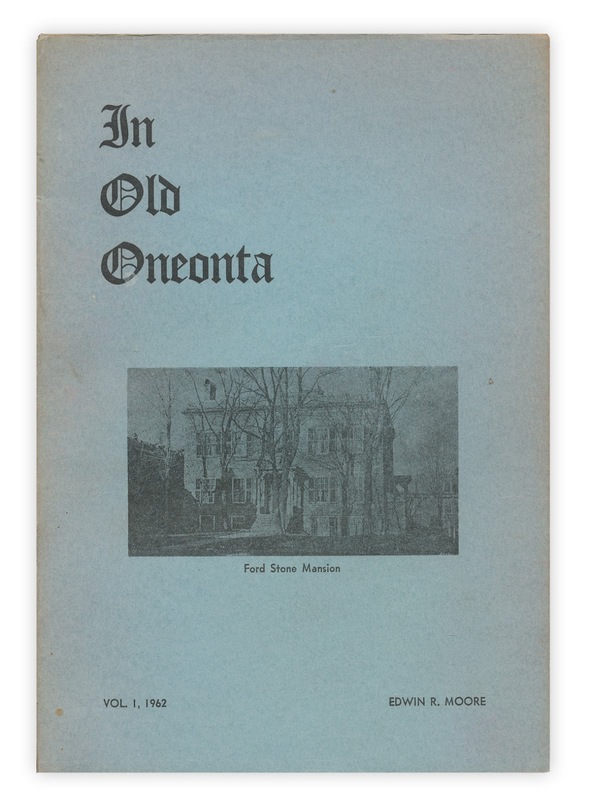 Found in "In Old Oneonta: Volume One" by Ed Moore. Published by The Upper Susquehanna Historical Society, 1962.